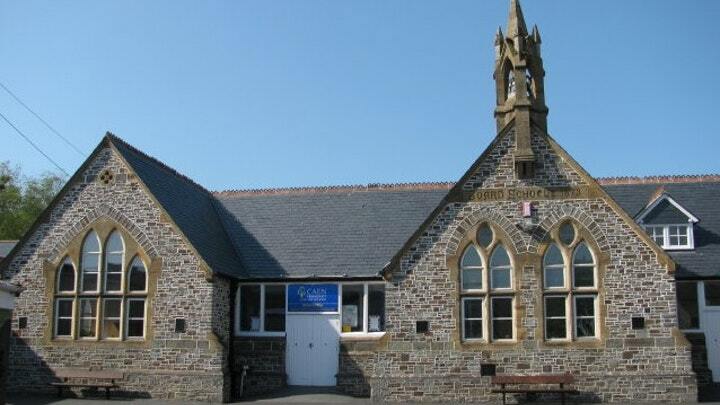 We are a local authority funded rural school located at the western tip of North Devon. Due to our geographical location, access and exposure to resources for digital education has proven difficult. Nationally there is a recognised ‘Digital Skills Crisis’ and urgent measures are being implemented to address this critical issue. To address this situation our school has become part of the British Computer Society / Computing at School’s Network of Excellence and is committed to ensuring that our school and schools in the local area provide our children with the necessary skill sets to achieve in this age of technology. Due to funding, however, children within this area have a limited access to technology beyond standard IT. E.g. in our school we have no dedicated digital area and use four mobile laptop trolleys, which are shared between 12 classes. Regardless of our efforts the teaching of high quality computing is limited by lack of additional equipment and experience in the subject. In an attempt to resolve this and to provide children with a high quality computing curriculum, we would are attempting to put together a Digital Maker Space (static and mobile). The aim of this project is to provide access to additional, previously unavailable, resources to deliver an enriching experience, engaging both teachers and pupils alike. I am a late entry teacher who started teaching shortly after the computing curriculum changed from ICT. Since then I have become actively involved with coding and hobby robotics through Code Club and the Raspberry Pi foundation. I am passionate about the subject and have made it my goal to develop computing education in the local area. I run two after school coding / electronics clubs and help run the local "Pi Jam". I have also started a North Devon CAS Hub to deliver free CPD to teaching staff. Our school is situated in North Devon and is one of many rural schools that will benefit from this project. The children love computing lessons and are eager to explore and develop their knowledge in this area with the addition of physical computing. The funding for the project is to provide physical computing opportunities by providing children with the opportunity to explore real world computing applications through computer-controlled electronics. We will be establishing a Digital Maker Space consisting of Raspberry Pi's, Crumble Boards and a 3D Printer, along with associated accessories. The aim is to ensure that the maker-space is portable to maximise its use. The Digital Maker Space is aimed at all children and will enhance not only Computing but has many cross curricular links with Maths, Science, Design Technology and Art. It is envisaged that the equipment will be accessed by Y3 - Y6 students in our school as well as other schools in the local area either through outreach workshops run by myself or on a loan basis. The aim is also to use the equipment to provide CPD to teaching staff to help develop STEM within our area. As stated the aim of the Maker Space equipment is to provide children with access to physical computing, raising awareness and enriching their experience across the curriculum. The development of computational thinking skills is key to their future success in every aspect of life. Utilising the equipment for CPD will help increase teacher confidence in this vital area of education. Please help us to realise this project by donating. If you cannot donate but still want to help then please share this project with anyone you think could and would support us. If you are happy to do so please, whether you can donate or not, please share this request to as many people as you can on social media by copying the link at the top of the page and pasting on Twitter, Facebook, email, your website, blog. Please support us and help us have a positive impact on our children (the creators of the future). For a donation of £10.00 you will receive a digital thank you note from me. For a donation of £25.00 you will receive a digital thank you note from some of the children that this project will benefit. For a donation of £50.00 you will receive a personal recognition in our school newsletter and project blog on our schools website. This may also consist of a personal thank you video.